It was the weekend of the annual Singapore Grand Prix, and there was a palpable excitement in the air as throngs of spectators crowded near the tracks, hoping to catch a glimpse of the speeding race cars. Meanwhile, visitors who were there solely for the post-race concerts, waited in anticipation for the likes of Robbie Williams and Pet Shop Boys to take the stage. But over at Ola Cocina Del Mar‘s food stall near the Paddock Club, a ticketed venue with premium views of the action, chef-owner Daniel Chavez was feeling less than thrilled. He had made barely any sales that night, and his heart sank as he looked at the amounts of unsold croquettes and patatas bravas (fried potato cubes), Setting up a stall there had proved to be a huge mistake, as food and drink within the Paddock Club area were complimentary for its ticket holders — so no one was going to pay to eat at his stall. What followed next was a gruelling one-and-a-half years of recouping his losses, and trying to keep his business afloat. That was back in 2014. Today, Chavez has more than moved on from that incident — which he dubs as “the worst business decision [he] ever hopes to make” in his life. “It’s been quite a journey. 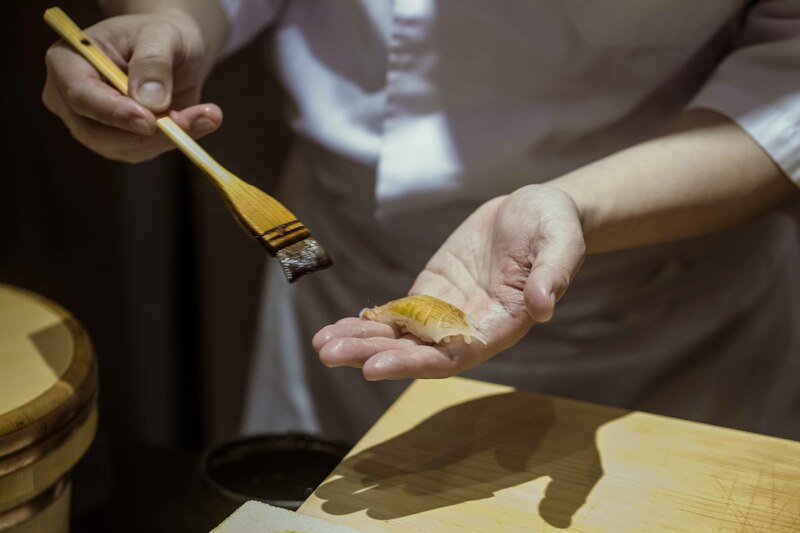 We made a lot of mistakes with Ola at the start, but the restaurant has grown and found its personality,” said the chatty and jovial 37-year-old, when we met up for lunch at Japanese restaurant Hashida Sushi Singapore, a posh establishment famed for its omakase sets. 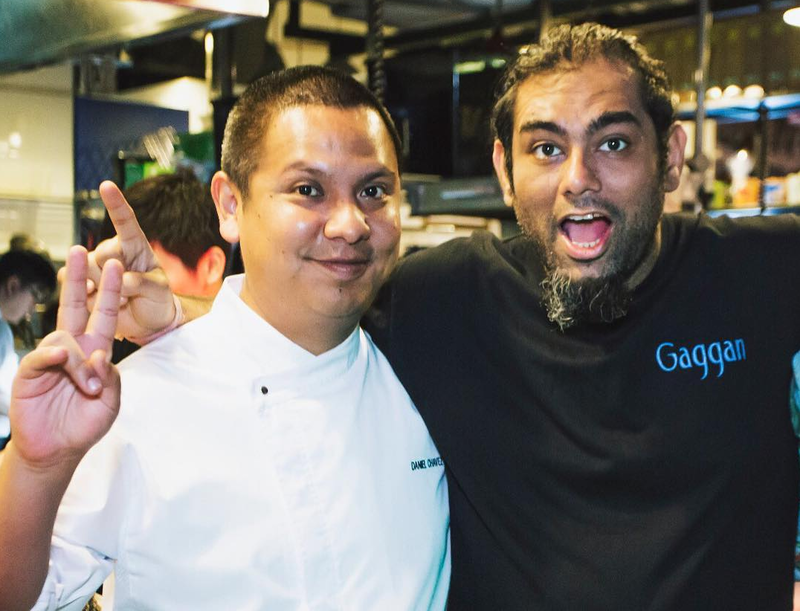 Ola Cocina Del Mar has flourished over the years and is happily in the black, and he is now focusing on his latest project: Gggola 3, an upcoming two-day event headlined by a 75-seater dinner collaboration with famed Indian chef Gaggan Anand of Gaggan in Bangkok. 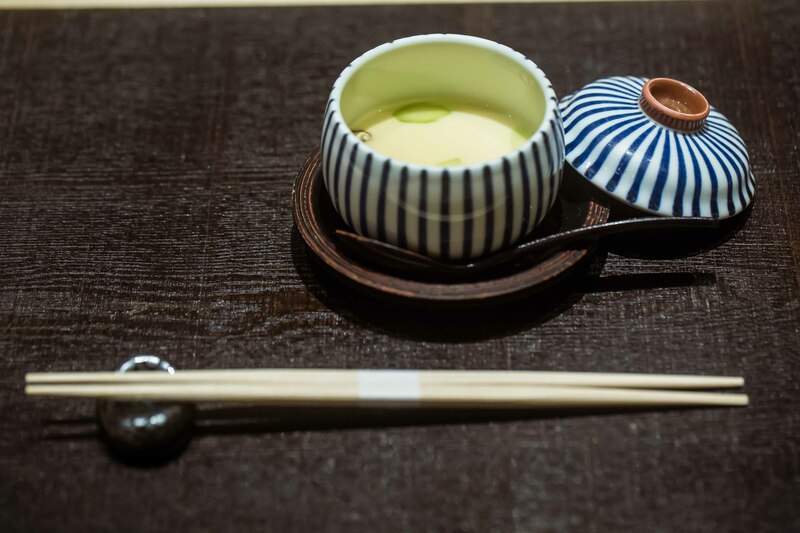 The latter has been Asia’s top restaurant for the past three consecutive years. Held on 29 July, the dinner sold out within an incredible 45 minutes of its announcement. It will showcase a mix of Spanish and Indian dishes. The other highlight of Gggola 3 is a 14 hands, rock ‘n’ roll-themed brunch party on 30 July, which will see Anand and Chavez team up with an all-star lineup of chefs such as Julien Royer of Odette, Jason Tan of Corner House, Mario Malvaez of Tono Cevicheria, and Thomas and Mathias Sühring of Sühring in Bangkok. Guests can expect to savour Indian, Peruvian, German, French and Mexican dishes inspired by the chefs’ cultures and family recipes. Tickets for this sold out within a day, but more seats have since been added. The seven chefs have been working on the collaboration since February, and the menu features dishes such as crab curry, pork knuckle burger, and churros with Comté cheese. 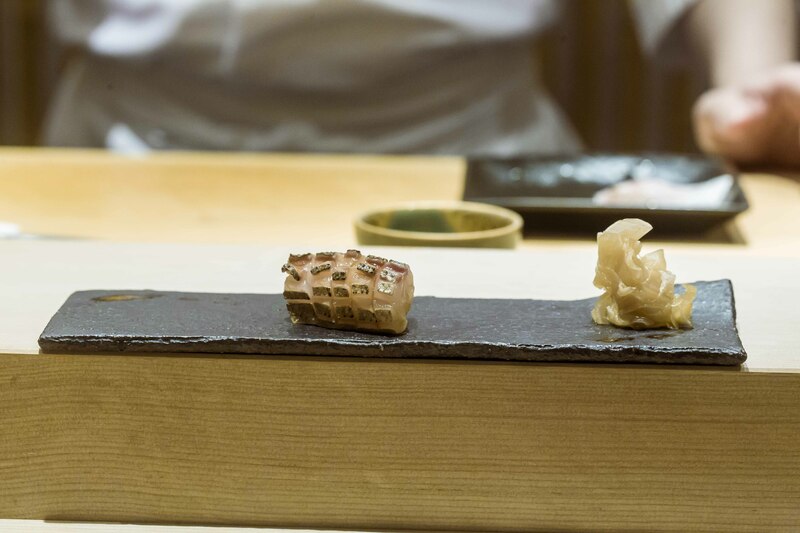 “I went to Bangkok for a holiday during Chinese New Year, and caught up with Gaggan during then. We ate at Sühring, and it was great. So we talked to its chefs about a collaboration, and asked along others like Julien and Jason. It’s a huge honour to work with all of them,” he said, adding that he first collaborated with Anand back in 2015. The two are close friends, and this latest event marks their fourth time working together. “It may seem like I’m always looking out to do collaborations with chefs, but these opportunities actually come up naturally on their own. To cook together and bond over food — that’s the most important thing,” said Chavez. Taking into account the warm reception that greeted his upcoming collaborations, as well as his rolodex of famous chef friends from around the world, one can’t help but marvel at how far Chavez has come. 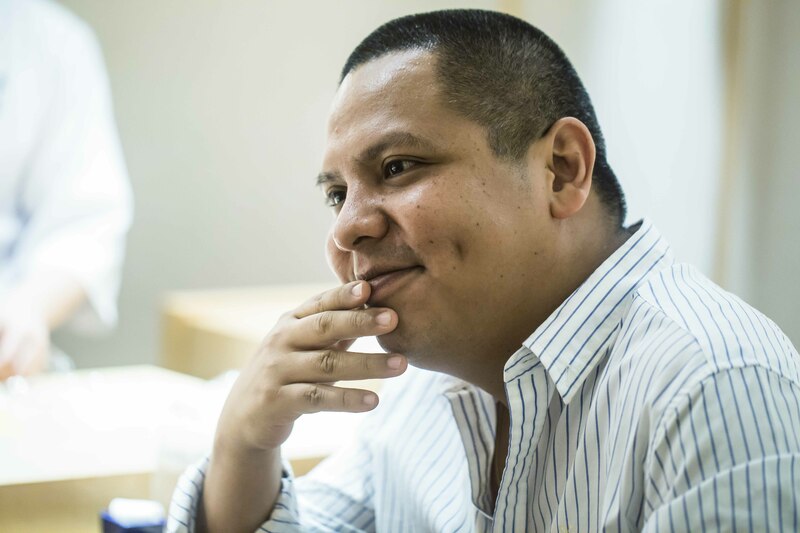 Born and raised in Lima, the vibrant capital city of Peru, he grew up in a close-knit family that often gathered together for meals, where his grandmothers, who were both good cooks, would whip up traditional dishes such as stew and ceviche, a classic Peruvian dish of citrus-marinated raw fish. But his fondest memories of food are of making rare trips to restaurants with his parents — his family wasn’t particularly wealthy, so dining out was a treat he always treasured. “At that time, we came from humble beginnings. But my father and mother tried to bring us to good restaurants for meals, so we could be exposed to great food. I feel that what you eat as a child, determines what you eat as an adult,” he said. The art of cooking, however, was something he embraced only in his late teens thanks to an unexpected turn of events. 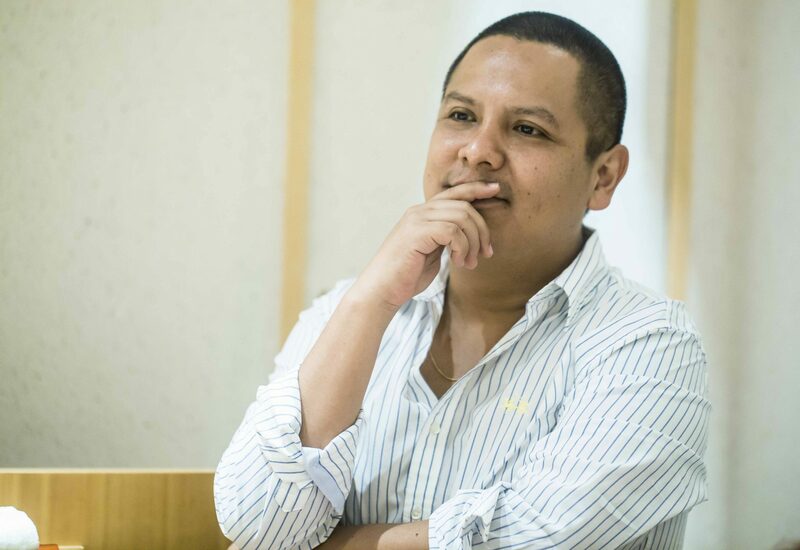 At 17, Chavez first enrolled in Universidad de Lima to study business — a move he quickly regretted as he discovered he had no interest in the course. “I was the worst student. I was skipping class and doing really badly,” he said. His family later relocated to Florida, where Chavez abandoned his plan to become a businessman, and spontaneously signed up to learn cooking at the Florida Culinary Institute instead. A few months into his culinary education, Chavez applied for a part-time kitchen job at Henry’s, a newly opened eatery in Boca Raton that served all-American comfort food. His duties included assembling dishes, cutting and preparing ingredients, and assisting the other chefs. The hours were long, but he relished every bit of it. 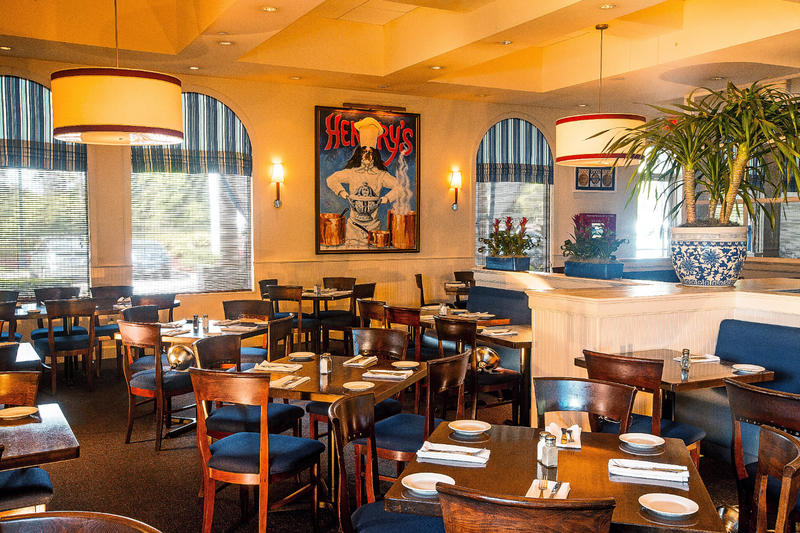 “Henry’s served food that wasn’t confined to hamburgers. It did dishes that were hard to find outside of the US, such as pot roast and meatloaf,” he said. As a young, inexperienced chef, he inevitably encountered his share of mishaps in the kitchen. Once, he accidentally poured oil from a deep fryer onto his foot. “I was wearing boots and couldn’t take them off. And by the time I got them off, my foot was badly burnt. But the restaurant was full and I couldn’t leave, so I had to continue service with my foot in an ice bucket,” he recalled with a laugh. He graduated from school and worked for a year and a half before returning to Peru in 2001, after the September 11 attacks in New York City. Following that, he applied for a scholarship for a masters programme in culinary arts in Valencia, Spain. Chavez’s 11-month course at the School of Hospitality of Valencia came with a restaurant apprenticeship at La Sucursal, a Mediterranean establishment inside a modern art museum. 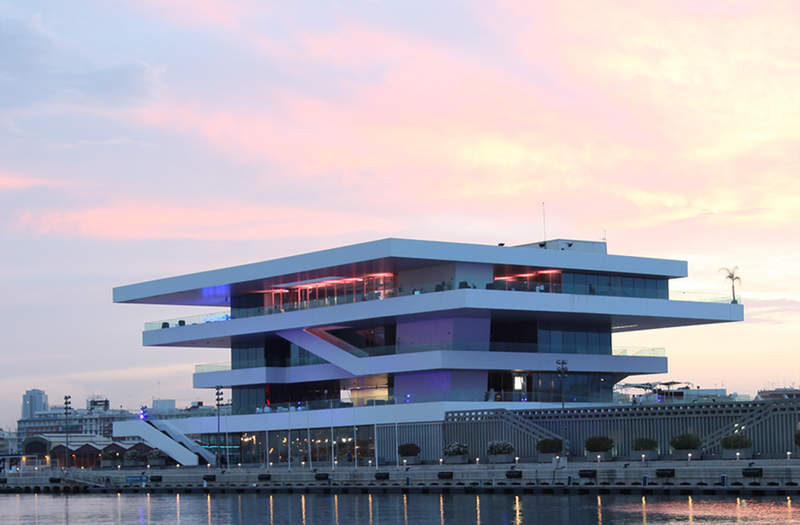 The restaurant relocated to the Veles e Vents building by the marina last year. It was known for innovative offerings such as venison carpaccio, pumpkin with foie gras, and arroz caldoso de bogavante — a soupy rice dish with lobster. It was there that Chavez saw how siphons were used in food, as well as the labour that went into creating “perfect cuisine, dishes [he] had only seen on television”. That same year, the restaurant received its first Michelin star. Through a recommendation from his boss at La Sucursal, Chavez left for Barcelona in 2003 to join the culinary team at the now-defunct Can Fabes, a three-Michelin-starred restaurant. 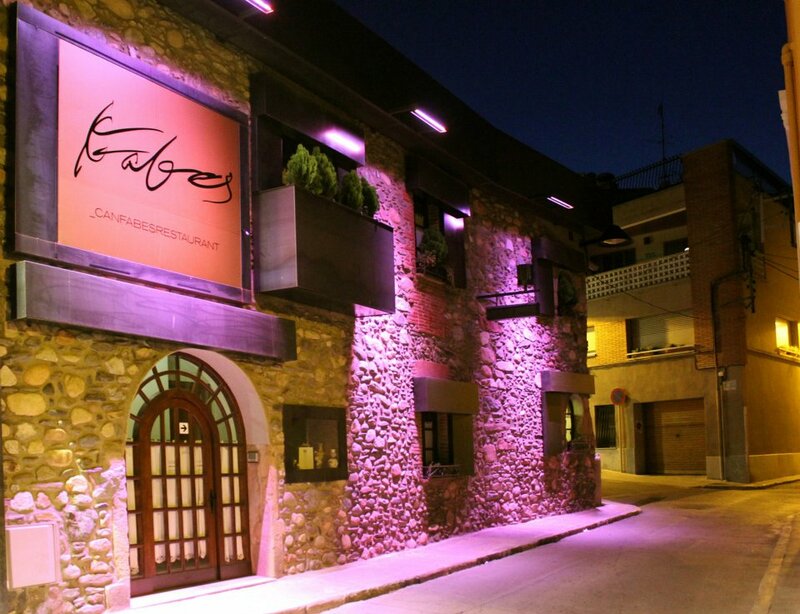 The establishment specialised in Catalan cuisine and was run by the late Santi Santamaria, one of Spain’s most revered chefs who would later go on to play an integral role in Chavez’s cooking journey. Santamaria was also the owner of the now-defunct Santi at Marina Bay Sands, which shuttered in 2012. What set Can Fabes apart from other fine dining eateries, was Santamaria’s faith in his staff’s expertise. There was no recipe book to follow, as he encouraged the chefs to be spontaneous in the kitchen. Santamaria also let his Chef de Cuisine to plan the restaurant’s ever-changing menu and introduce his own new creations. “Santi trusted us to come up with dishes that represented his own cooking style. His model of doing things, is something I don’t think any other chef in the world has,” said Chavez, adding that he grew close to Santamaria and regarded him as a mentor. One memory that has stuck with Chavez till today, is of the staff meals at the restaurant. Despite being the boss, Santamaria respected everyone equally — including those lower down in the pecking order. “Santi would always sit next to the dishwashers, who were from Africa. He’d talk to them about the political situation in their country. To him, we were all the same in the restaurant,” Chavez recalled fondly. Chavez thrived at Can Fabes. But after two years, he itched for a change in environment. At Santamaria’s recommendation, he decided to fly to Singapore for a job opportunity at Les Amis, which currently has two Michelin stars. Its Chef de Cuisine at that time was Gunther Hubrechsen (who now helms his own namesake restaurant Gunther’s along Purvis Street), and its repertoire of refined French fare included the likes of escargots in white wine sauce, pan-seared duck breast and langoustine carpaccio. “Gunther introduced me to French cuisine and its techniques. The dude was on fire. I think nobody can do a sabayon as fast as him — he was so good with the whisking,” said Chavez. His culinary expedition didn’t end there. A year later in 2007, he reconnected with Santamaria in Spain while on holiday, and the latter mentioned he was opening a new restaurant named Ossiano in Dubai. He invited Chavez to join the opening team there as Chef de Cuisine. Of course, Chavez said yes. “I was so happy. It was amazing that he gave me that first chance to run a kitchen at that level,” he said. 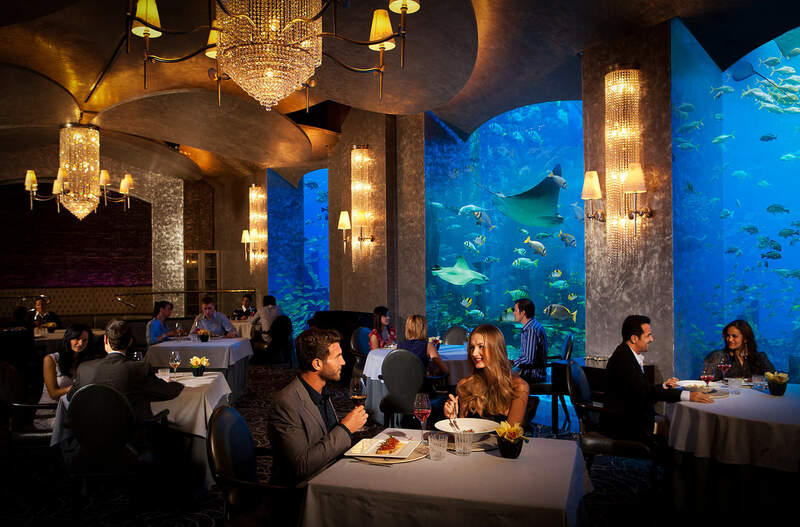 Housed within Atlantis The Palm hotel, Ossiano was an ostentatiously lavish seafood venue that entertained the likes of hedge fund managers and serious-faced businessmen in suits. It even came with floor-to-ceiling views of an aquarium — just because. There, Chavez found a second mentor in its executive chef Franco Brodini, who taught him about the business aspects of running a restaurant in a hotel. 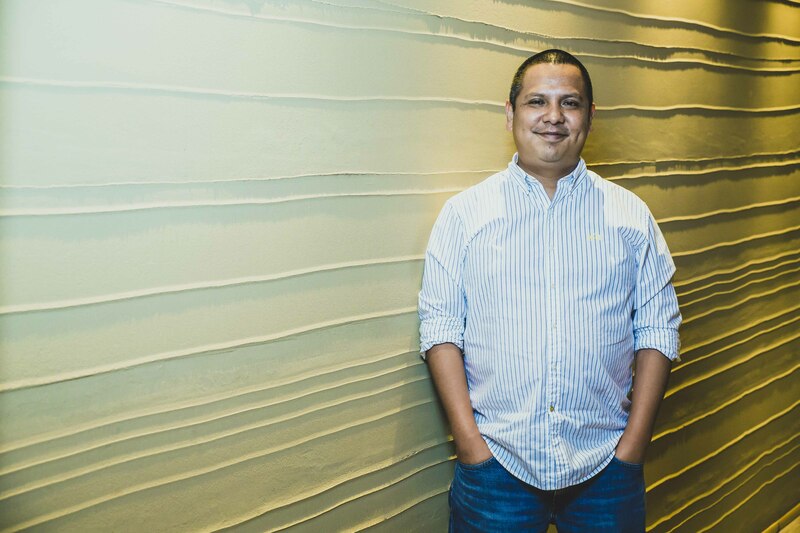 “I never understood revenue, staffing or annual leave as I had no experience in running a kitchen,” said Chavez, who till today, remains good friends with Brodini — now the executive chef at Shangri-La Hotel Singapore. 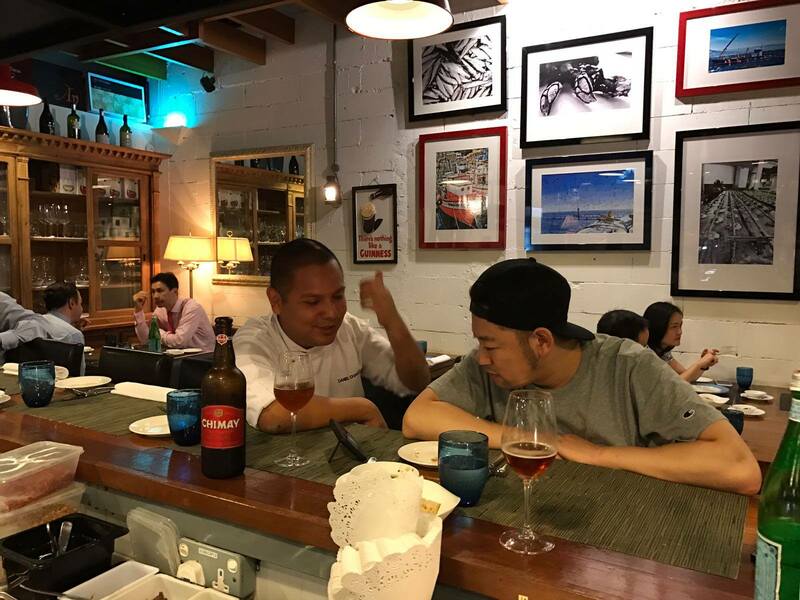 In 2010, Santamaria contacted him again about an exciting new project: He was launching a new Spanish restaurant named Santi, at Marina Bay Sands in Singapore, and wanted Chavez onboard as its Chef de Cuisine. With that, Chavez packed his bags and, once again, made his way back to the little red dot. “Santi was quite similar to Can Fabes in terms of cuisine. But it was popular for different dishes. For instance, we couldn’t serve the same prawn carpaccio that we had at Can Fabes, because everyone wanted it fully cooked — which tasted really bad. We had to localise our menu,” said Chavez. Things at the restaurant were going smoothly until February 2011, when Santamaria made a trip down for its official opening ceremony. He was welcoming a group of media when he suddenly collapsed from a heart attack and was rushed to hospital. Tragically, he passed away later that day. The show still had to go on. So Chavez and his team continued to cook at Santi, which remained in operation until 2012. After it closed, he made the decision to stay in Singapore and open his own Spanish restaurant. “I used to say I always wanted my own restaurant. But the truth is, if Santi were still alive, I’d probably still be working with him,” said Chavez. Four months after Santi’s closure, Ola Cocina Del Mar was open for business. Furnished in wood with an open kitchen, the restaurant was a relaxed venue serving up tapas at the Marina Bay Financial Centre. Framed photographs from Chavez’s travels to farms, fishing ports and markets around the world, adorned the walls to create a homey vibe. But things got off to a rocky start. As with many other food and beverage establishments in Singapore, there was a manpower shortage. Chavez was also inexperienced in running his own restaurant. He changed business partners, but the place continued to flounder. Then came the Formula One fiasco in 2014, which he hoped would draw customers to his eatery, but wound up incurring losses because nobody patronised his food stall. Chavez’s efforts paid off. Little by little, more customers started coming to Ola Cocina Del Mar. He changed its menu to a more seafood-centric one offering the likes of fried baby calamari, grilled octopus, and seafood paella — options that appealed better to the CBD crowd. The repertoire was also expanded to include daily seasonal specials. The current menu ranges from S$8 to S$45 for tapas, and S$36 to S$56 for mains and paella dishes. 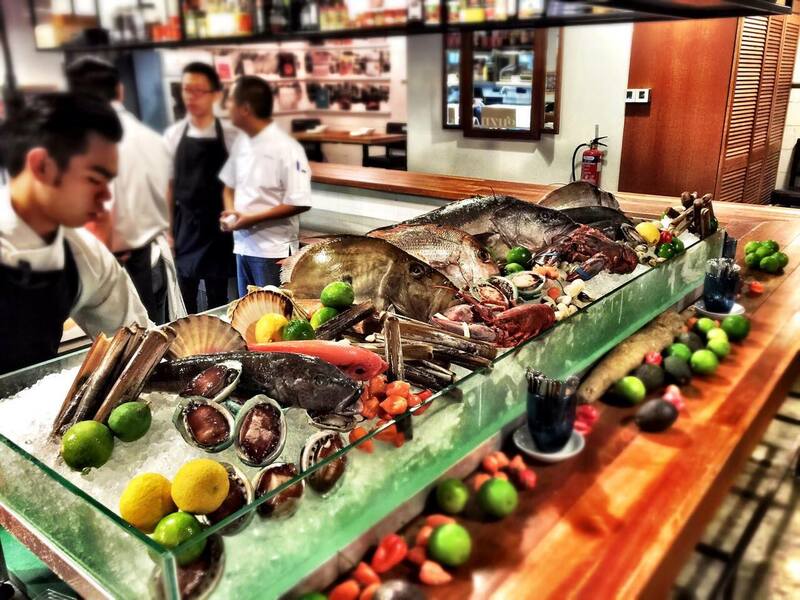 The restaurant also offers a S$28++ lunch set at its bar counter. 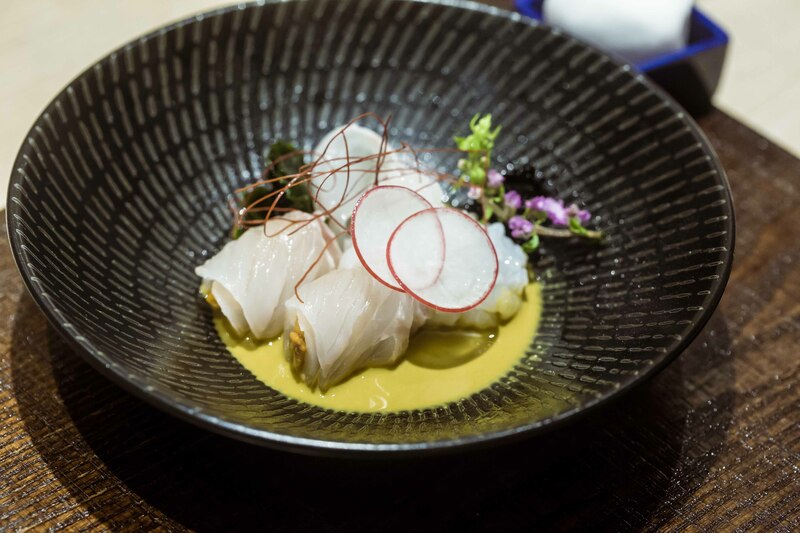 A major turning point came in March 2015, when renowned Peruvian chef Gastón Acurio — who was in town for the Asia’s 50 Best Restaurants ceremony — stopped by the restaurant for a one-night-only guest stint with three other chefs. The session was a lively affair filled with loud Peruvian music, and lots of chilli, potatoes and — of course — ceviche. Anand of Gaggan, also dined at the restaurant on two other separate occasions. He was so impressed with his meal that later in the day, he called up the restaurant and suggested to Chavez that they cooked together. In August that same year, they teamed up for Gggola, a two-day gastronomic event comprising a nine-course dinner and a brunch party for 200 guests, which came complete with DJs, Daft Punk music, and fancy lighting. That one collaboration with Anand, paved the way for more opportunities for Ola Cocina Del Mar to work with other famed chefs. Last August, Chavez joined forces with chef Paco Morales from Noor in Spain on a four-hands dinner and pintxo (Basque country-style tapas) brunch showcasing Andalusian and Catalan cuisine. He also paired up with Anand again on a second edition of Gggola, this time held at the latter’s Meatlicious restaurant in Bangkok. Closer to home, Chavez paired up with Japanese chef Seita Nakahara of Terra on a brunch of classic Spanish and Italian fare in March. In April, he worked with Hashida Sushi’s master sushi chef Kenjiro ‘Hatch’ Hashida on a seven-course Peruvian-Spanish-Japanese omakase dinner, which served innovative creations such as a fish noodle fideuà (paella made with pasta), and eel with causa — a traditional Peruvian dish comprising potato with chilli, lime juice and mayonnaise. “To me, it’s really cool when somebody else can see your signature dish through his eyes. Because sometimes inside your head, some dishes are stuck in a certain way, especially when they are classics,” said Chavez. 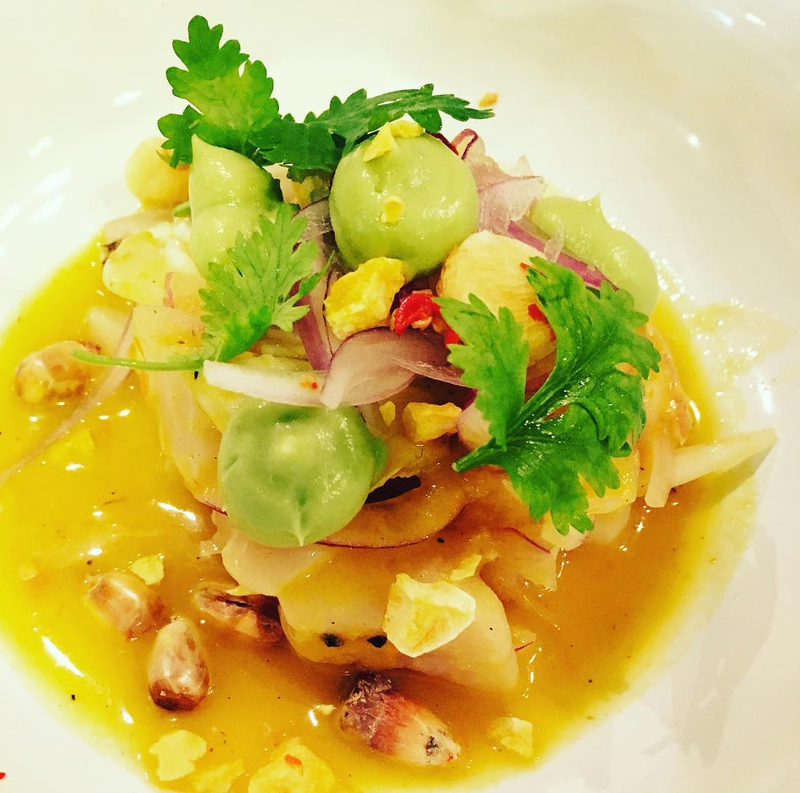 Apart from his upcoming Gggola 3 with Anand, Julien Royer, Jason Tan and the rest, Chavez has been keeping busy with his new second restaurant Tono Cevicheria, which focuses on Peruvian cuisine. Located at mixed development building Duo Galleria, the eatery is a casual spot decked out in wood with touches of pastel blue and green. Glass walls allow for sunlight to spill in for a beach-like atmosphere. Menu highlights include causa and four different types of ceviche with ingredients such as yellowfin tuna and crispy baby calamari. 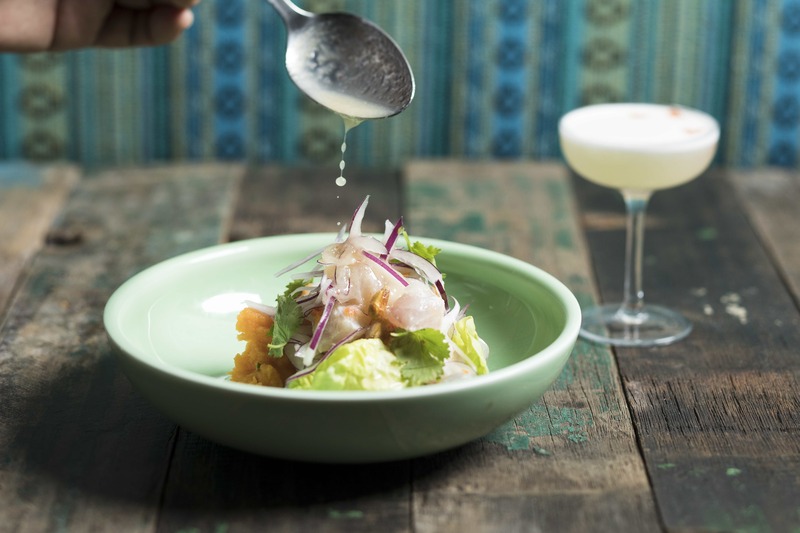 Tono Cevicheria’s kitchen is helmed by its executive chef Malvaez and a team of Lima-trained Latin American chefs. After spending some 10 years living in Singapore, Chavez is well-acquainted with the likes of char kway teow, chicken rice and bak kut teh. He recommends the crab beehoon at Bib Gourmand recipient Sin Huat Eating House in Geylang, and black pepper crab at No Signboard Seafood Restaurant. For full-service restaurants, he suggests Jade Palace for dim sum, Gunther’s for French cuisine, and Burnt Ends for grilled meats. 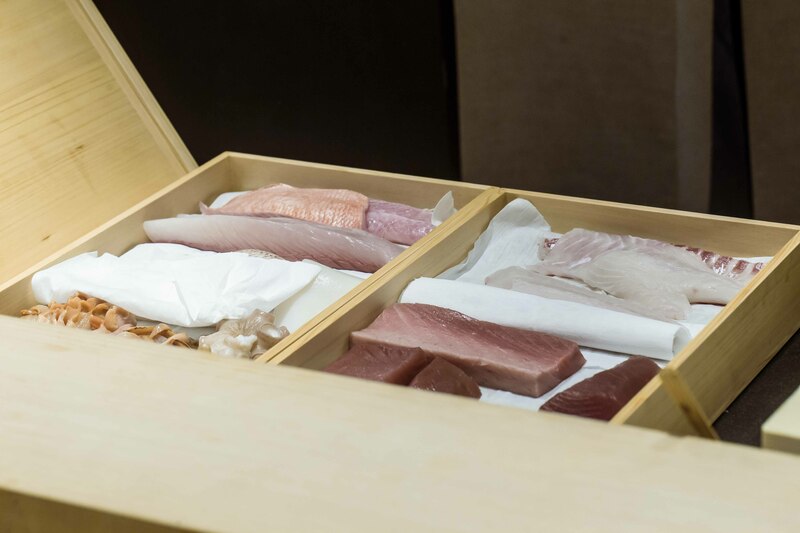 Topping off his list is Hashida Sushi, which he favours for its seasonal, produce-driven dishes. During our lunch, we watched as chef Hatch deftly sliced up silky slivers of kinmedai (golden eye snapper) and chutoro — which we devoured with gusto — and rolled out exquisitely plated creations such as delicate tofu skin peppered with bouncy ikura pearls, and tempura prawns and vegetables coated with an umami-packed powder of bonito, smoked salt and dried mushrooms. Other show-stoppers that elicited similar responses of satisfaction, included a mini rice bowl filled with uni and ikura, and Hashida Sushi’s signature otoro sushi — which comprised a thin slice of otoro (tuna belly) hand-carved before our eyes, before being draped over a small dollop of perfectly vinegared rice. 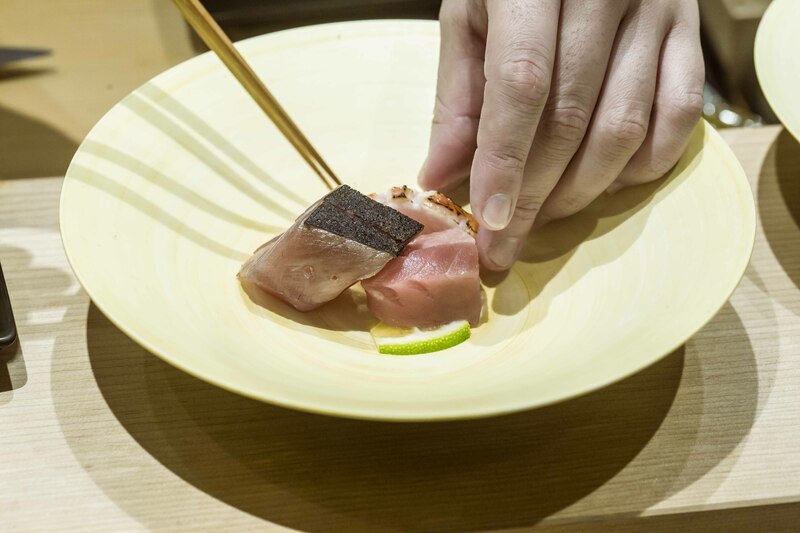 “I like that Hatch is daring in the food that he serves, and how he doesn’t care about being traditionally Japanese,” he said.